This is a folder which continuously converts hand towel paper from the parent roll into various shapes as shown below at the rate of 400~550 sheets/min per lane. 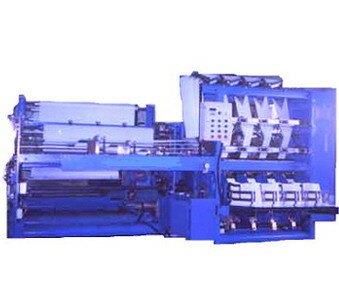 This machine is a rotary folder to which printing and embossing units are connected to produce beautiful hand towel paper through continuous processes of printing, embossing, folding and cutting of paper from the parent roll. This machine is highly regarded in the converting industry for producing high quality hand towel paper.